This morning I give thanks -- as I have for the last three Monday mornings -- that I'm not an NFL replacement ref. Talk about receiving the scorn of the nation. Ouch! ESPN highlights your most recent gaffes and follies, players bash you on Twitter, and, while head coaches try to refrain from heaping verbal abuse on you during their post-game press conferences for fear of heavy fines from the Commissioner, their body language and facial expressions hardly belie their true feelings. You have to pity these folks who are doing the best they can amid an untenable and highly visible situation. Plus those of us who "only work on Sunday mornings" have to stick together. Just kidding -- I certainly hope the NFL and the "real" refs can iron out their (monetary) differences so these replacement refs can go back to their real jobs of selling shoes at Foot Locker. 1. 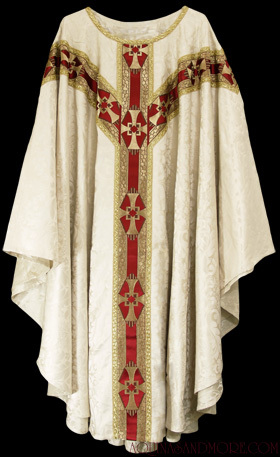 The liturgy would start 15 minutes late because the "priest" couldn't figure out how to tie the cincture (the fancy church word for rope that gets tied around an alb, which in turn is a fancy church word for white garment). 2. No one could hear the opening collect (fancy church word for prayer -- pronounced COLL-ect) because the "priest" couldn't operate the wireless microphone. On the other hand, everyone could hear the "priest's" pre-service trip to the bathroom because he/she got the on-off button confused. 3. Liturgical bedlam would ensue as the "priest" would have no idea when to stand, sit, or kneel. This would likely cause somebody at the 8 o'clock service to break a hip. 4. Not being used to public speaking, the sermon would be an unmitigated disaster. Remembering the words of the third grade teacher who told the "priest" to picture the audience in their underwear, he/she would become flustered and strip down to his/her underwear instead. While this might attract the two new families that Sunday, the parish veterans would be horrified and Tweet pictures to the bishop. 5. There's a fine line between a moment of silence and an awkward pause. 6. 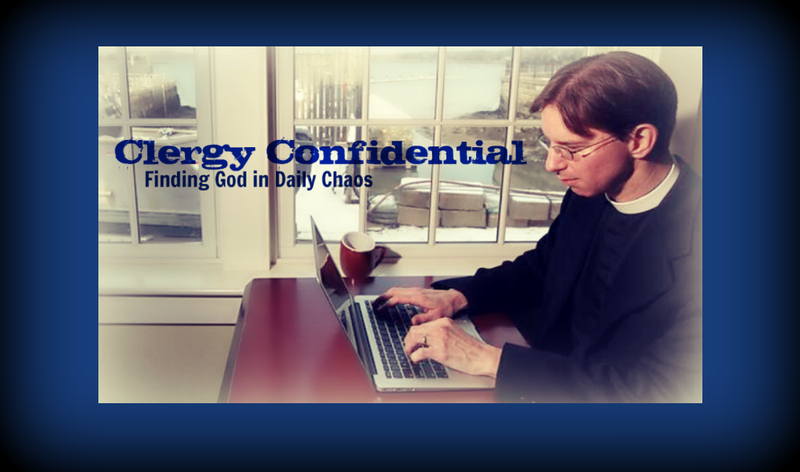 The "priest" would completely lose control at the Peace and it would devolve into a coffee hour-like free-for-all. Though, in some parishes, that's the norm so no harm done. 7. Upon receipt of the collection the "priest" would assume this was a tip and pocket all the cash. 8. Prepaing the altar for communion looks easy to those who have seen it done hundreds and hundreds of times in their lives. In practice there's an order to things that doesn't include dumping a chalice-full of wine on the fair linen (fancy church word for table cloth). 9. Rushing out the door and forgetting to eat breakfast, the "priest" would engage in the old 'One for me, one for you' practice at the communion rail. 10. Rather than greeting people at the door following the liturgy, the "priest" would see an opportunity to be the first one to coffee hour. You'd find him/her tossing back munchkins in the parish hall like the Wicked Witch of the East. So be careful what you wish for the next time you consider locking out the clergy. But remember, if things go away you can always throw one of those liturgical penalty flags. Perhaps if I were a football fan I would find your post amusing. As a priest who foir thhirty years has functioned as a Sunday supply priest - read replacement priest - anywhere from 30 to 50 Sundays a year - I am offended. I have been a hosital chapalin (6 years), a seminary professor (25 years), and enjoying unwanted retirement thanks to mother church for one year, and I have made myself generous available to be a replacement priest in countless parishes - sometimes on very short notice - and sometimes booked several years in advance - because I do the job well. It is har work in going to countless parishes with different customaries, different traditions, different lay assistants, different circumstances, and do a competent, generally seemless celebration accompanied by a freshly written sermon that addresses the lections of the day. Well, thanks for checking in with the blog. I'm not quite sure how you made the leap from replacement officials to supply clergy, although I can now see some parallels. I have tremendous respect for supply clergy for several reasons: 1) It's an important ministry, without which many would go unfed (especially in the summer 2) I've used some terrific ones over the years (thereby subverting the rule of thumb of always engaging supply clergy who are lousy preachers to make you look good upon return) 3) I couldn't do it. I'd be a wreck if I had to go into a different parish each week and try to stay centered amid all you describe in your last paragraph. I'd be honored to have you come up to Hingham some time. How's August? Thanks for the Monday morning chuckle. I had no trouble distinguishing between your humor and our dedicated supply clergy. Keep 'em coming! Reminds me of the comment of an 8 year old when as interim dean I was introduced to him by his mother as "the dean" and his quick reply was "You're not the REAL dean; we're trying to find one!" Actually, Fr. Tim, you made the leap from replacement officials to clergy, and I agree w/ Fr. Doubleday. I, and most of my colleagues who are called upon regularly to keep Sunday and Holy Day liturgies going, can manage wireless mikes, start on time, pronounce "collect" and read the correct one, manage the peace and set a table. I suggest you let the football officials take care of themselves and be a little kinder to the ministry you may have opportunity to offer when the gray takes over. This is awesome. I'm adding "Unintended Offender of Supply Clergy" to my resume. Sheesh! Bishops are, in effect, replacement clergy every week. Of course, most of them are very well compensated for their labors. While serving a small congregation in Alabama, one year I had THREE bishop's visits! Bp. Henry Parsley made his regular visitation. Later at a clergy conference I mentioned that I needed a supply so I could take a bit of vacation, and retired Bp. Furman Stough volunteered! He did it again later in the year. I remarked to him that the only time a church gets three bishop visits in a year's time is when it's in deep, deep trouble. He agreed on that! P.S. I never bother with microphones, wireless or otherwise. Never have, never will. No rector would ever be anything but appreciative of supply clergy! The parallel Fr. Tim imagines here is a "replacement clergyperson" who is NOT actually a priest, but is trying (as they say) to play one on tv! That's what makes it hilarious. 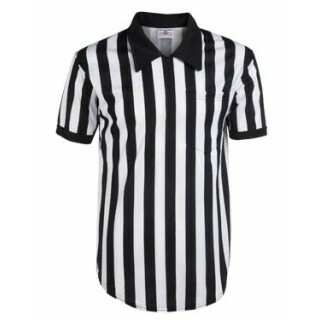 The replacement refs who might not actually be moonlighting from Foot Locker could choose to be offended if they wished to, but I don't think supply clergy have anything to worry about! Clare, in the words of Fonzie "exactamundo!" Some people just don't have a sense of humor. This was excellent! I concur with Claire. Supply clergy are not replacements they are priests. "Replacement Clergy" do not exist. This is a hypothetical.